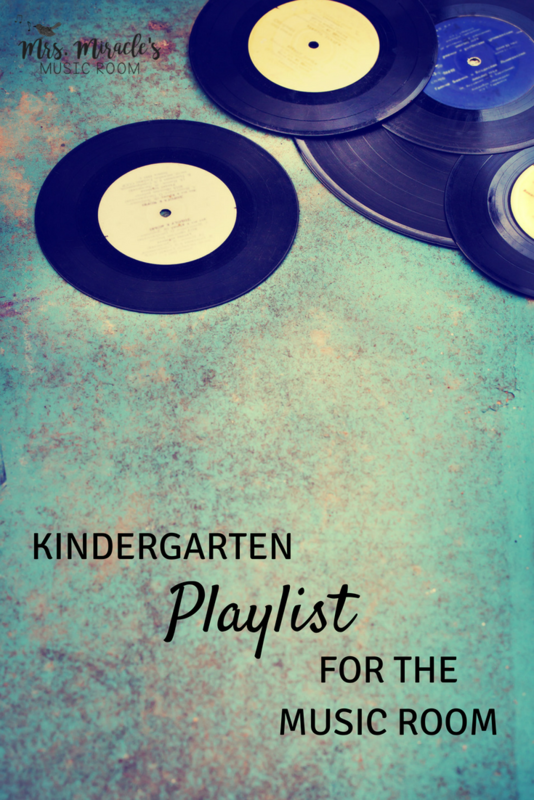 What's on my playlist for Kindergarten? Recently, on Instagram, I posted a story about the playlists I was creating for each grade level. 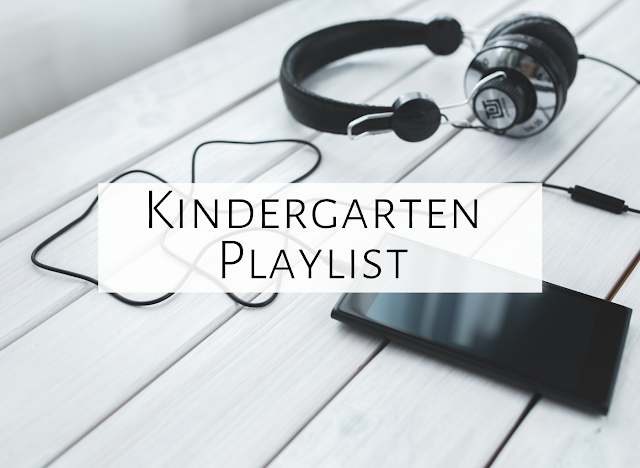 I had lots of people interested in what I had on each playlist, so this week, I'll be blogging every day with three recordings I have on each grade level playlist! Today, I'll start with Kindergarten. So what do I mean about a playlist? For years, I have used an iPod to play music during my music lessons. Inevitably, though, there was a song here or there that I forgot to put on my iPod, or that I couldn't put on my iPod (since it's eight years old), so I had to use my school computer to find it...or then I realized that I didn't have it there either, so I'd run and get my personal laptop and plug it into my speakers. To make sure I waste no class time, I decided to create playlists in iTunes and make sure all the music I needed for each grade level was on that playlist. Then, when I get to that part of the lesson, I simply queue up iTunes and double click on the recording! I just found this recording yesterday while listening to music in the pool with my youngest daughter...and it is SO FUN. It quotes "In the Hall of the Mountain King" by Grieg, but is a contemporary pop song. It has kid friendly lyrics, and a very consistent, strong, steady beat. I have an activity for keeping the beat that I call "Follow me," in which I keep the beat in groups of 8 and students follow me. So I'll keep the beat on my lap for 8 beats, then my head for 8 beats, then jump for 8 beats, etc. Once students are comfortable with this, I let student volunteers lead the beat motions. It's always a hit with Kindergartners. For years, I've used the "Keeping the Beat" CD by John Feierabend for this activity (which is a great purchase! ); I'm excited to add this fun recording to the playlist for this activity! I love Eric Chapelle's recordings, and will be writing about them again this week! This particular recording is wonderful for practicing fast/slow. The recording goes back and forth between slow and fast. I learned an activity with this from a former colleague: during the recording, I have students move like they are in jello for the slow section, and like the room is full of chocolate and they have to eat it as fast as they can for the fast section. It is lots of fun, and a great way to practice fast/slow! Both my daughters have loved Laurie Berkner growing up...and I do too! This recording is also great for movement. I have students first listen to part of it and identify the movement words they hear (i.e. jump, gallop, swim). Then, I have them find self spaces, listen to the music, and do what the music tells them to do! What are your favorite recordings for Kindergarten? Feel free to comment below. 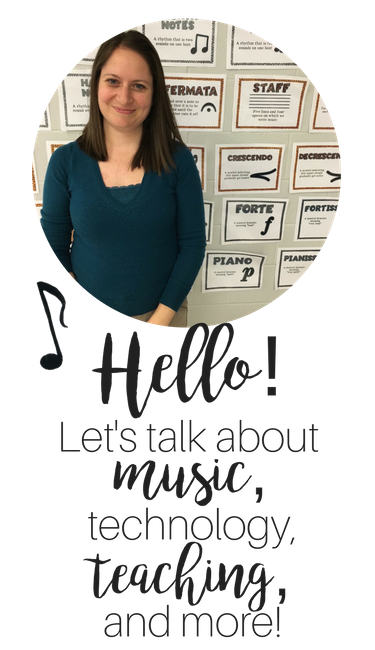 Click here to read more ideas and strategies for your Kindergarten music lessons. Make sure to tune in the rest of the week for more playlist ideas for other grade levels! You can also check out my IG stories every day for snippets of each recording...just click my profile pic if you see a hot pink circle around it! Happy listening, and happy teaching! What's on my playlist for First Grade?